It is no doubt that social media is today's best way to market your products and services. Beside handy, it doesn't need a significant amount of budget. Two of Bridestory's social media masters, our Social Media Manager Mazaya Pramudita and our Digital Marketing Executive Dea Ovelia shared 15 tips to maximize your brand's exposure on Instagram and Facebook. Every wedding vendor should have their own uniqueness that differentiates them from other vendors. Therefore, highlighting your portfolio on social media is a great way to introduce your business widely. If you don't have enough portfolio to share, upload your service or product identities as many as you can. Did you know that weekday is the perfect time to receive an exposure? Yes, Monday - Friday from 8 am to 9 am and lunchtime, which is from 12 pm to 1 pm, is your primetime to upload updates on social media. Both Facebook and Instagram, photography visuals are more attractive than illustrations. If you want to upload a promotional poster, make sure that the central element is photography with less dominant text. Write sentences as if you are talking directly to your future clients, for example by adding a question. End the caption with a call-to-action text, such as "double tap if you agree" or "comment if you have different ideas," so netizens are interested in following/liking/commenting which can improve your engagement level. Your caption should be exact and to the point. For example, for Facebook, your caption should be best written in three sentences. To add, upload several visuals, not only one, to attract likes. As a wedding vendor, your social media's upload goal is to make netizens get attracted to discussing your products or services. 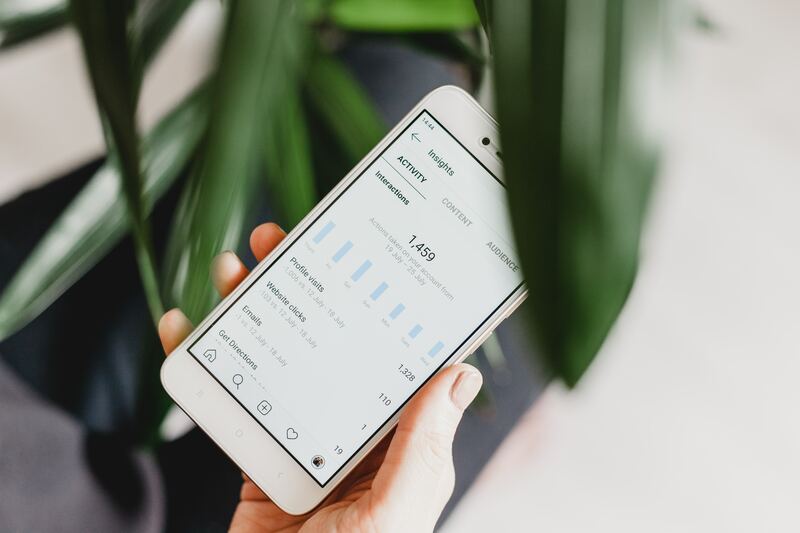 Thus, maximize your Instagram performance because this social medium has a feature that connects netizen to your microsites, email, and WhatsApp number, as well as your inbox's direct message. Each Instagram and Facebook has a feature to commercialize your uploads. However, there is specific software that allows you to design your digital marketing strategy more thoroughly. One of them is Business Manager. The registration is free. You only need to pay the posts you want to be promoted with a minimum rate of US$ 5 per post. One of the precious formulae for the digital marketing world is 20% text, 80% visual. It means that, if you upload a post on either Instagram or Facebook, you have to make sure that the texts are not dominating the image. Business Manager application owns a feature that is able to analyze the appropriateness of your posts. If you still desire a visible text on the picture, you can just put a title or the core content. You can continue the written message on the caption. You can re-post a post from other accounts that are currently trending as long as the content is related to your brand. For example, if you are a wedding attire vendor, you can upload a picture from the wedding of the British Royal Family with a caption saying that the dress inspires you. The euphoria of the trending topics can possibly bring you to new likers and followers. Show your brand's or business' existence by following or liking an account, or/and sending likes or comments to posts that already have high engagements. The posts and the profiles should be related to the wedding world or your business. By exposing your existence, there will be more people recognize, even follow back your profile. In 2018, 500 million accounts were using Instagram Stories. One-third of its popular stories are advertisements from business owners. This feature also helps you to publish new updates regarding your business at the right time since the feed is based on the moment they are uploaded. Hashtags ease users to search specific posts on Instagram. To avoid a "too much" caption, put hashtags on the comment box and don't exceed 25 hashtags. Also, add your locations, a city is better, on one of the hashtags to make your post closer to your target market. Point the location of your target market and use a local language to get "close" to your future clients. If your target market lives in several cities or countries with different mother tongues, you can apply one international language that is spoken by the netizens at those areas. If a user is interested in your post, but he/she has not followed your account yet, it is possible that he/she will open your profile to see how interesting your account is. Thus, arrange your posts as artistic and attractive as it can be, such as lay-outing it according to colors or to shape a certain visual, will attract new followers. To deeply understand your audience, never stop to try different objectives for your promotional posts. As an example, if you have promoted a post with objectives of the female target, aged 25 - 35 years old and located at Jakarta, at the other time you can add the audience targets with a male profile and expand the location to Tangerang or Singapore. By comparing total likes and comments, you can get an idea of which audience profiles that increase your account's performance.